Glycine Soja (Soybean) Oil, PEG-40 Sorbitan Peroleate, Prunus Amygdalus Dulcis (Sweet Almond) Oil, Tocopheryl Acetate, Citrus Limon (Lemon) Peel Oil, Cupressus Sempervirens Oil, Limonene, Eucalyptus Citriodora Oil, Salvia Officinalis (Sage) Oil, Melaleuca Viridiflora Leaf Oil, Citronellol, Linalool, Citral, Citrus Paradisi (Grapefruit) Peel Oil, Juniperus Communis Fruit Oil. Bought two of these as so good. The smell of the oils are devine making my bathroom smell like a spa. Very potent ingredients means its great for detoxing and slimming. Will be ordering more thankyou. 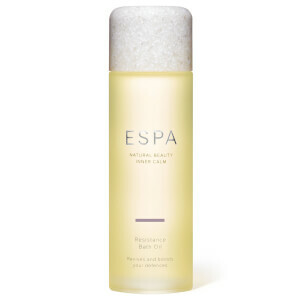 This product is a delight - smells awesome and made me feel like I was having a spa at home after a really stressful day...heaven..
Deliciously scented, relaxing and leave skin smooth and healthy.